A survey commissioned by INTI International University & Colleges (INTI) involving 600 respondents across three market centres in Malaysia, revealed a dichotomy of views in the abilities and marketability of fresh graduates in Malaysia. “INTI commissioned this study to understand the expectations of students upon graduating, and the companies that employ them, as we wanted to have the data points to ensure we are meeting the needs of our key stakeholders. We were very surprised by the dichotomy of views as it is clear that the expectations and perceptions of both segments are diametrically opposed. Left unchecked, this mismatch in expectations will widen further and result in a strain on the system, with young graduates either unemployed or job-hopping, and employers facing high turnover or unable to secure the right talent for their needs,” Rohit Sharma, CEO of INTI said. The survey also revealed that while 79% of parents and students believe that soft skills have improved amongst present day graduates, 84% of employers strongly disagree, stating that despite strong academic results, graduates today lack the pre-requisite soft skills for workplace success. Another key finding is the importance placed on soft skills, with students and parents placing equal importance on communications, collaborative skills, critical thinking and creativity, while employers rank communications as the primary and most important skill they seek in the talent they employ and retain. “As an institution of higher learning that prepares students for employment , we will need to convert the key findings into action points that can result in positive outcomes for both the graduates and employers. With over 400 employer partners collaborating with us on various strategic initiatives, we are able to address key areas of concern and ensure even stronger graduate outcomes,” Sharma explained. The adage ‘all work and no play makes Jack a dull boy’ could not be more relevant in this present day, as academic qualifications alone are not sufficient to secure employment, with employers now seeking well-rounded, enterprising and experienced individuals. The preference for well-rounded graduates with diverse interests stood at 81%, while those with practical experience stood at 65%. Industry placements and internships were also cited as a deciding factor amongst 57% of the respondents in the employer category. This appears to be one of the few areas that overlap, with corresponding findings in the parent and student category, with 88% acknowledging that soft skills are more important than academic results when seeking employment. “The ability to understand the issues at hand and address them at the core is essential for academic institutions seeking to develop talent with the relevant skill-set, academic qualifications and the right balance of aptitude and attitude. Having worked closely with over 400 employer partners, we realise that there is a mismatch in expectations, and we wanted to understand this better to provide the right solutions,” explained Sharma. With partners ranging from global MNCs including IBM, Google, Microsoft and home grown giants like Maybank, INTI has the distinction of being able to ensure 100% internship placements for all its students. 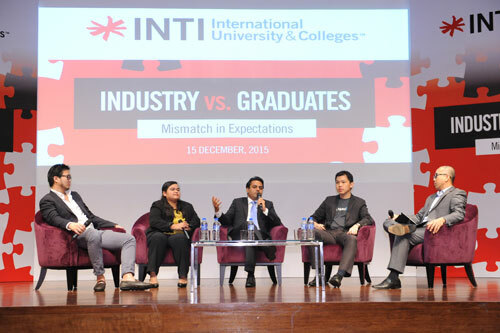 “Additionally, 78% of INTI graduates earn above market average salaries in their first jobs, and 97% are being employed within six months of their graduation,” Sharma said. However, despite wanting to start earning immediately, the findings revealed a key mismatch in the average starting salary of fresh graduates, with parents and students placing this at RM3,400, while the actual market average ranges between RM2,100 and RM2,500 (Source: JobStreet 2015). 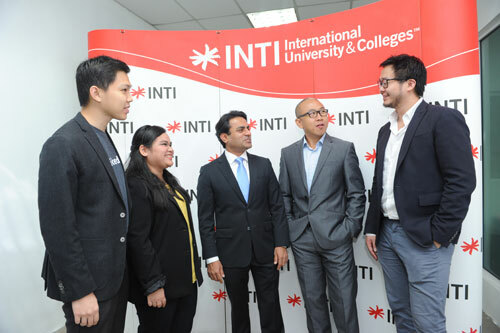 Following the media briefing on the survey, INTI also hosted a panel discussion comprising of Sharma; Leon Foong, General Manager of Uber Malaysia; Daren Yoong, Relationship Manager at LinkedIn and Nur Azre Abdul Aziz, an International Business & Management student from the Northwood University Program at INTI. 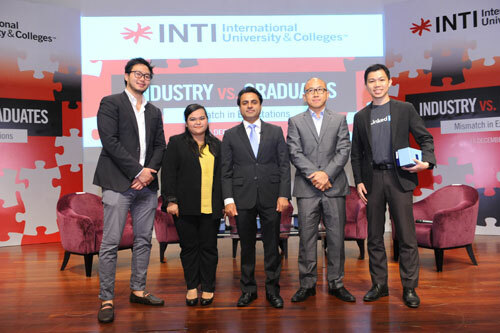 The INTI Industry Vs Graduates Survey is the third in a series of groundbreaking surveys commissioned by INTI to deliver on its promise of being a ‘Champion of Change’ in Malaysia.